We love spirits. Love what they can do. They compel us to get creative. To mess with them. To break them down to their very essence, then reimagine and recreate them with a modern twist. To innovate. To create something unlike anything you've ever tasted before. That's our idea of fun. We're based in Manhattan and distill in Yonkers. We approach each spirit we create as a project. Our first project is gin. The mission is simple: To challenge your perception of this 400-year-old spirit. To redefine it. To create the next chapter. When you think of gin, you undoubtedly think of juniper – even though you might not even know that's what you're thinking of. Piney, powerful, and easy to identify. Don't get us wrong: If you love juniper-forward-gin, keep drinking it. But here's the thing, there's more to gin than just juniper. Enter Empire Spirits Project. Our first goal: to help juniper not be so overbearing. Get it to mingle. To meet up with some new ingredients. To harmonize and branch out. Our specialty is pairing botanicals to create unique flavor profiles. Our gins are unlike any other you've ever had before. We're willing to bet that you love gin; you just don't know it yet. But don't take our word for it: try our gin, and you tell us if we're right. 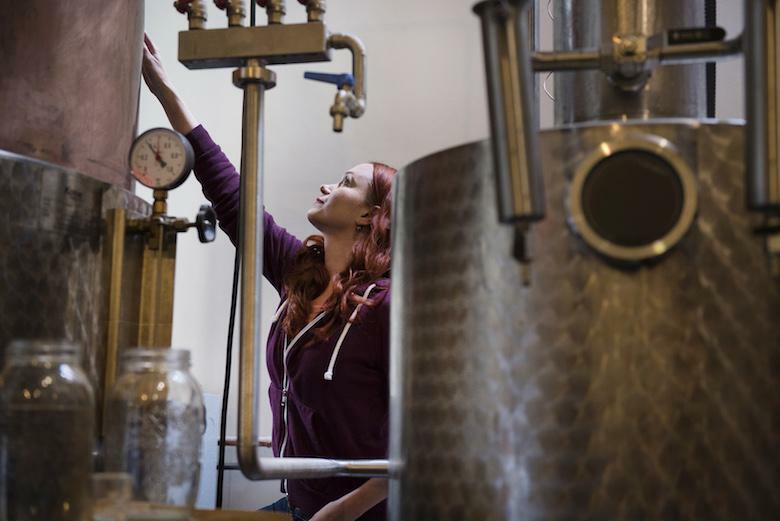 Empire Spirits Project is challenging the world of spirits one ingredient at a time.